Why should you choose MTS to take care of the electrical work in your home? Domestic electrical work is the backbone of our business. It’s how we started and we’ve built our great reputation locally and throughout Norfolk by helping homeowners like you. For any electrical job around your home count on MTS Electrical. We’re just a phone call away. Contact MTS on 01493 717 206. Our team are reliable and friendly and ready to help you. No electrical job around the home too big or too small. NICEIC registered. We cover the whole of Norfolk. Qualified, friendly, professional electricians. Great local reputation. Emergency call outs. We’re here for all those small jobs; the temperamental sockets and switches, and the light that’s been flickering for ages. We’re also able to take care of the big projects that you may need; a full rewire, updating a circuit board or changing around the power points and lighting layout in your home. Are you moving to a new house? 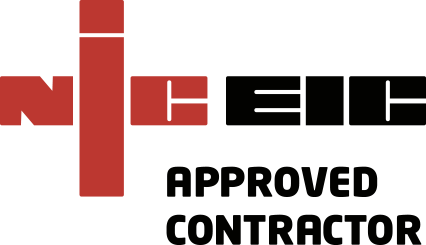 Why not invest in a pre-move Electrical Installation Condition Report (EICR) on the new property? We’ll identify any potential electrical problems. We recently saved one Norfolk family over £4,000 as they were able to renegotiate the price of their new home following one of our inspections.